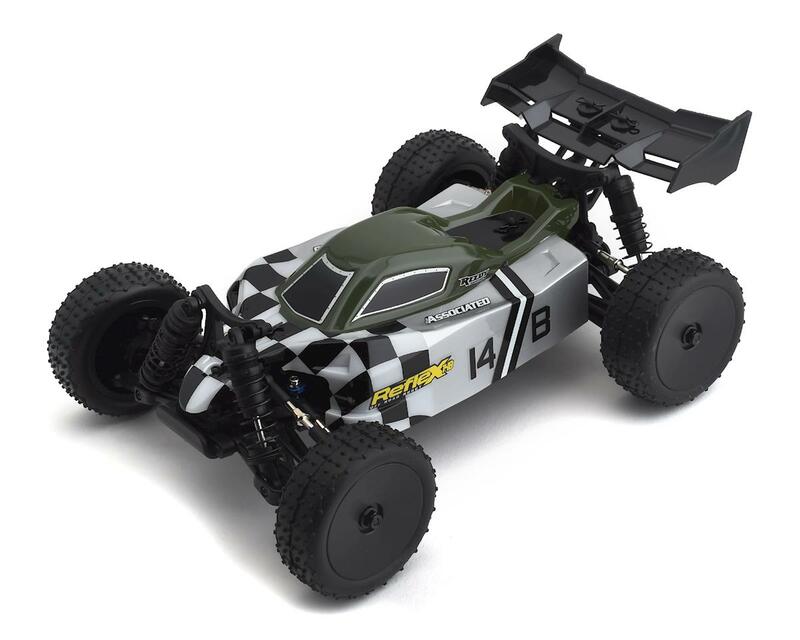 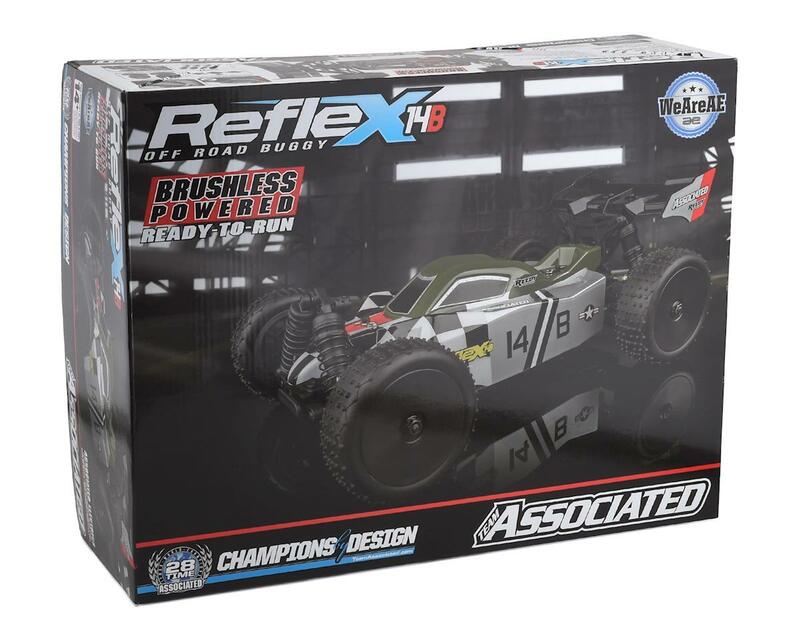 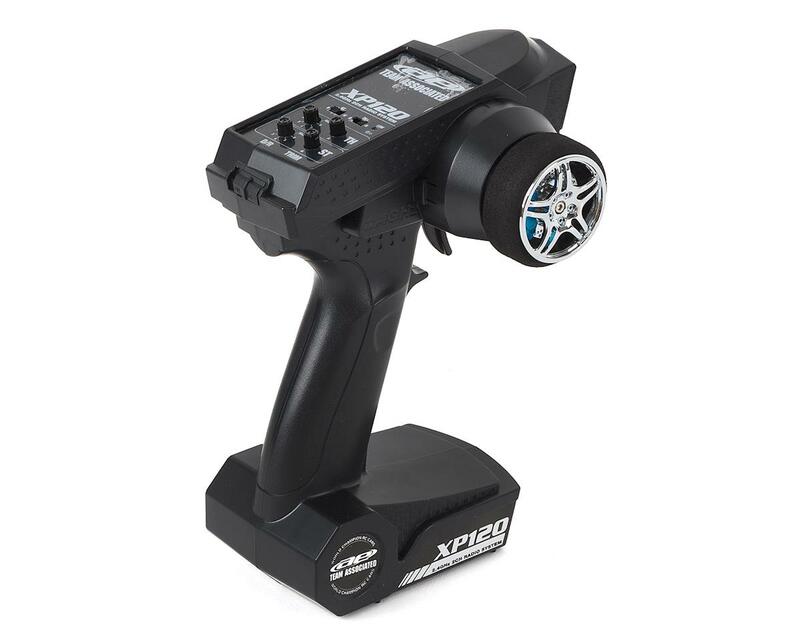 The Team Associated Reflex 14B RTR 4WD Buggy comes out of the box assembled, with a Reedy Power brushless ESC, motor, high-torque digital steering servo, and 2.4GHz radio system. 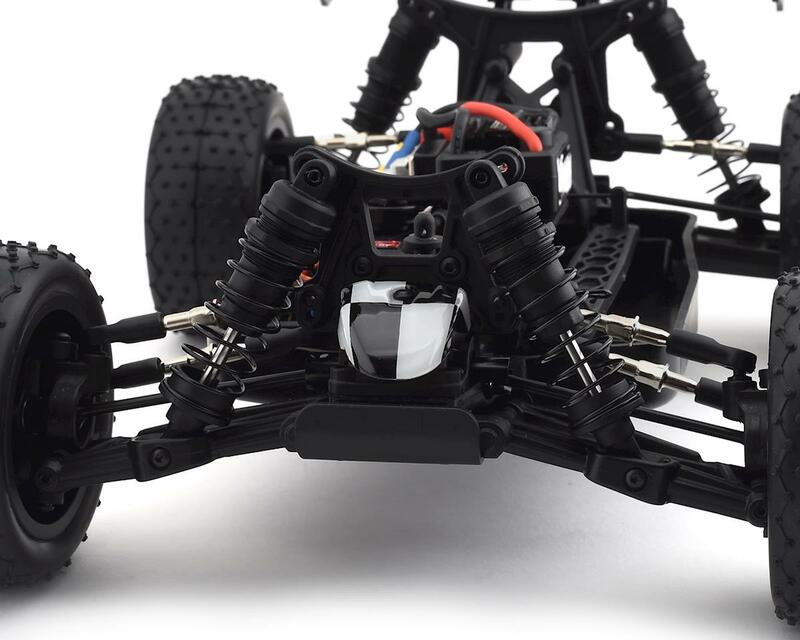 With all that power and a 4WD drivetrain, the buggy's design allows you to harness that power and turn it into pure fun! 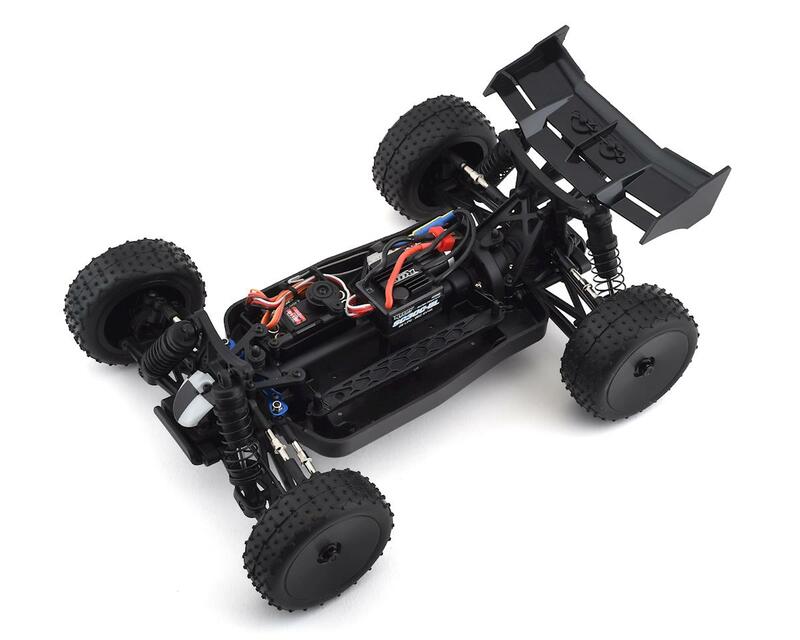 Adjustable turnbuckles, caster blocks, and rear hubs make the REFLEX 14B ready for any terrain you can throw at it. 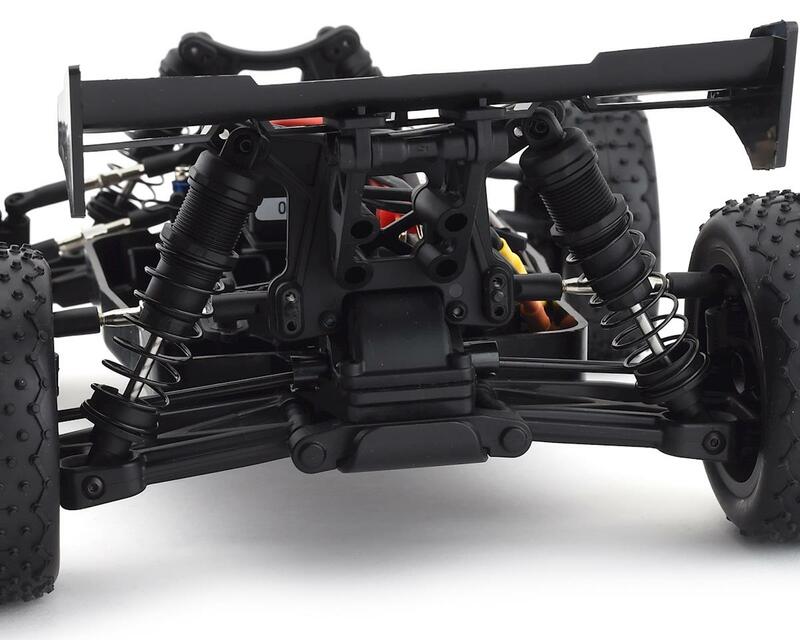 Additional features include three sealed differentials, aluminum steering rack, and lightweight aluminum center driveshaft. 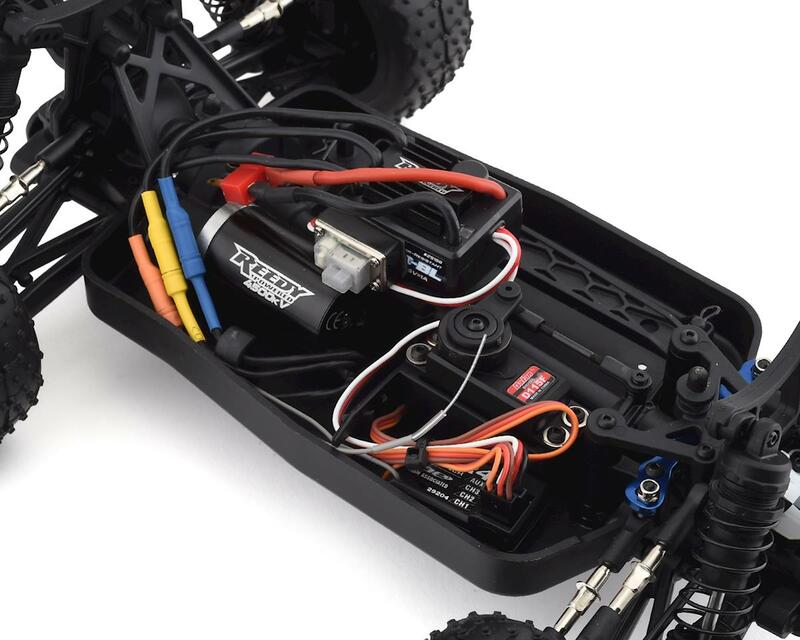 All you need to do is add batteries and you have big performance in a small-scale Ready-to-Run package!